Hotpoint has an interesting history. It starts with an unlikely inventor. A meter reader and plant superintendent for an electric power company in Ontario, California named Earl Richardson. In 1903, he developed a smaller, light-weight version of the awkward, heavy, electric iron that was first patented in 1882. This small but clever invention was named after the heating elements that converged in the iron’s tip, Hotpoint. This heating mechanism allowing it to be used in and around ruffles and pleats on clothing and curtains as well as to press around buttonholes. At the same time, a 33-year-old former journalist from Iowa named George A. Hughes was hard at work creating the first electric range. The crude model was had a simple, rather unreliable heating element of wires set in clay bricks. They burned out after only a few hours of use, making them all but useless. It took several years of trial and error for Hughes to create an electric range that completely revolutionised the way we cook in our homes. Finally, in 1918, Richardson and Hughes joined forces. 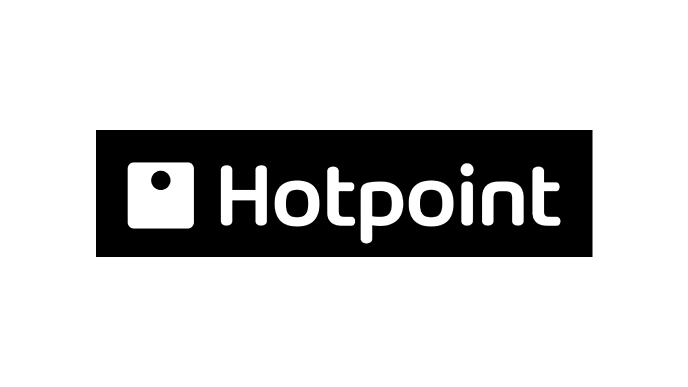 They merged their two companies with the General Electric Company, and, from there, creating the Hotpoint brand of appliances. There was no stopping them after that. They launched many appliance industry firsts throughout the rest of the decade. In 1924 they created the first all-white, fully enamelled electric range. This was quickly followed by their 1950 invention, the first electric “moisture-less” clothes dryer. Without slowing down, Hotpoint created the First refrigerator on wheels, designed to make it easier to clean under and behind the refrigerator, less than 5 years later in 1953. Then, in 1961, Hotpoint was the first to institute a 90 day replacement Satisfaction Guarantee. This guarantee allowed any customer who was not satisfied with the performance of a Hotpoint appliance to replace it with a comparable model. Finally, in 1965, the company created the first low-speed agitation clothes washer. This made it possible to wash clothing such as synthetics, delicate lingerie, and cashmere sweaters by machine where as previously they had to be washed by hand. Now that you know a bit about the company, let’s talk about their fantastic products. First, Hotpoint’s refrigerators and freezers. These units come in a variety of sizes and styles and have a price range that can fit any budget. There are top freezer refrigerators and manual defrost Chest freezers both Large and small. The Hotpoint Freezers and refrigerators combine food storage convenience via adjustable shelves and baskets and easy-to-use temperature controls with value and flexibility. Hotpoint cooking products are where they truly shine. They offer Electric, Gas, and Microwave Ovens, as well as extractors that will fit any budget. Hotpoint’s cooking appliances aren’t just a good value though. They are easy to clean ether by hand, or via the self-cleaning option. Hotpoint combines convenient features with various style options to bring you only the very best. Hotpoint only offers dishwashers and disposers of the highest quality. They are all convenient, stylish, easy to use, and best of all, their dishwashers and disposers have both high performance rates and exceptional value.